Peter Davison reads the first gripping adventure for the Fifth Doctor. Peter Davison reads Christopher H. Bidmead’s complete and unabridged novelisation, first published by Target Books in 1983. 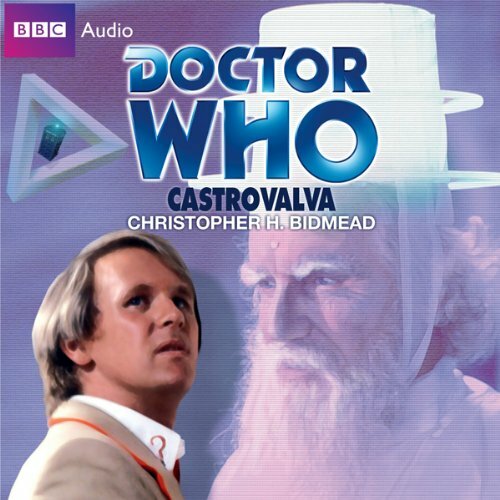 Castrovalva is certainly NOT a typical Doctor Who story! It contains twists and turns, and there is always a dark figure lurking in the background. Still it is very well written, and I would definitely recommend it to anyone. All the mathematical phraseology, evidently meant to confuse, is very well explained. The action comes on in spurts and keeps you interested until the rather bittersweet ending. All in all, this is a great Doctor Who story. The only thing I could say is that the description on audible.com is rather inaccurate. The ending warps the original epilogue of explaining who drove when. Peter Davison voicing young companions, especially females? Trying to describe Castrovalva itself? Nice try!